Josh has over 15 years experience in landscaping and general construction. After working for a general contractor and renovating homes and outdoor projects. It took some time to realize his love for working outdoors, he decided to focus on learning more about the landscape design business. He started as a crew member for a small landscaping company and grew to take more responsibility within the team. After encouragement from others around him, Josh was inspired to create his own landscaping company utilizing his knowledge from his experiences. 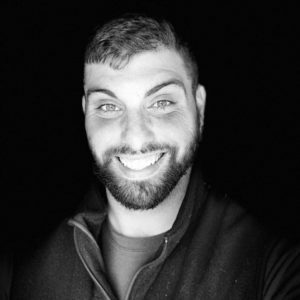 He created Joshua’s Landscaping Design in 2010 and strives to bring a higher level of customer service and satisfaction to all of his interactions. With the support of his beautiful wife and now office manager, Joshua has more drive and heart to be the neighborhoods top landscaping company. Josh’s favorite thing about landscaping is being able to take a space that someone might dread touching and make it beautiful. He loves to drive past a project and see how it has transformed into something that the owners will love to see when they come home. He is interested in projects that are easy to maintain for the owners by including landscaping, plantings, beds, rocks, boulders, pavers, and loves creating custom seating areas surrounded by beautiful landscaping.